Signature is our premium brand of luxury flowers and gift baskets that are available for collection or delivery on the Isle of Man. 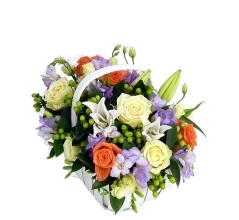 We offer our Signature range of hand-tied bouquets, floral baskets and contemporary arrangements, as well as gift plants, fruit baskets and hampers. Our Signature brand also covers our bespoke and package Wedding Flowers service, sympathy tributes and flowers for businesses. Our buying team purchases Signature by Robinson's flowers direct from the growers and flower auctions. By cutting out all the wholesalers and middlemen that add time and money to your flowers it's possible for us to guarantee value for money, quality, and freshness, ensuring only the best-of-the-best gets picked for your bouquet. 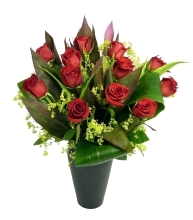 So, when you buy a Signature by Robinson's bouquet, the flowers will reach you or your chosen recipient several days fresher than if they had come from almost any other Isle of Man florist. Our talented florists at Robinson's have one job: to ensure that our customers receive the highest quality flowers. Quite simply, when people order Signature by Robinson's we aim to delight! At Robinsons we’re in the business to make you happy and we succeed or fail by how well we do this. If you’re not 100% happy with our products, we guarantee that we’ll immediately put it right for you – replacing or refunding as appropriate. 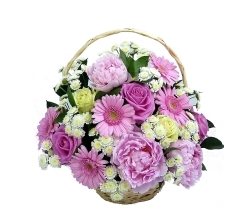 Order today at RobinsonsFlowers.im or visit one of stores.